Are You Making These Retirement Mistakes and Don’t Even Know It? Whether you’re 30 years old or 60 years old, planning and preparing for retirement is something no one wants to screw up. When you’re younger, you may be hoping or wondering if you’re doing everything you should be in order to secure your financial future decades from now. When you’re closer to retirement age, you may have anxiety over whether you did enough to allow you to retire now or in the very near future. 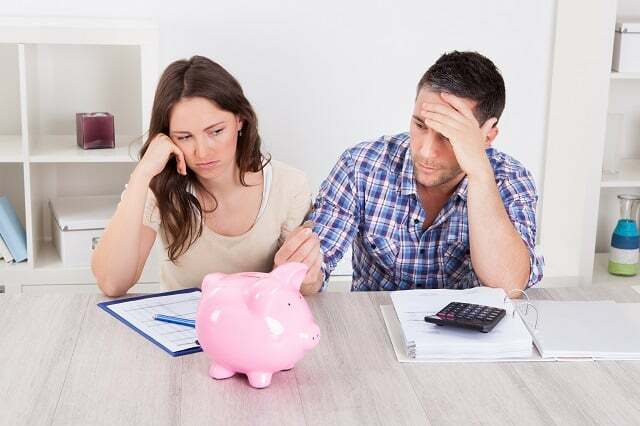 Even with careful planning and professional advice along the way, it is not uncommon for people to feel anxious about making a financial mistake that could potentially derail their plans in retirement or even just leave money on the table that could have otherwise contributed to an even better retirement. Here are some of the most common retirement mistakes that people make and don’t even know it. Not having an individual retirement account (IRA) for your retirement savings is a lost opportunity to save your money in a way that received tax-favored growth. Whether you open a Traditional IRA that allows your money to grow tax-deferred or a Roth IRA where the money grows tax-free, both IRA vehicles offer tax benefits that help your army of dollar bills work harder for you. If you are young and just starting out with your company, this advice is especially targeted to you. By not participating in your employer’s retirement plan, you are making one of the biggest retirement mistakes because you aren’t taking advantage of a retirement tool that would not be available to you otherwise. You see, most workplace retirement accounts offer tax savings and tax-favored growth, some creditor protections, and possibly an employer match and/or profit sharing contributions. The plans that employers offer their employees tend to be your 401(k) or 403(b) and are more expensive to manage and have several options depending on your age and retirement target date. You don’t have to pay to manage the account, your employer does. And if they offer a match for whatever you contribute to your retirement, that’s a 100% return on your investment that would be foolish to leave on the table. Times have changed and more people are starting up their own full-time businesses or side hustles to earn a living. When you first get started on your own, chances are you don’t have a whole lot extra and you may be more concerned with how you are going to keep the lights on than your retirement. Don’t put your financial future on the back-burner. There are retirement planning tools created specifically for those of you who have stuck out on your own: SEP IRAs and Solo-401(k)s.
No one wants to pay more than they have to in taxes. Overpaying your taxes each year or some years might seem minor, but over a lifetime of saving for retirement it can add up to a significant loss in retirement income potential. It’s a good idea to consult with a CPA with your financial advisor who can advise you in ways to make you as tax-efficient as possible throughout your lifetime. Something as simple as adjusting your tax withholding on your paycheck can go a long way, because if you receive a tax refund, that’s free money you loaned to the government to use rather than putting away in a retirement account that could have been earning you interest. That’s just one example, but as your wealth increases, there are other ways to legally shelter your money from taxes that benefit your retirement saving plan instead. In most cases, if you withdraw money early from your retirement account, you will be subject to a 10% penalty and have to pay income tax on the amount you withdrew. There are certain exceptions and government 457(b) plans are not subject to the traditional 10% tax applied to early withdrawals. All that being said, you should make sure you have an emergency fund set up so that you have cash accessible to you in the event you need it rather than tapping into your retirement savings prematurely. Rest assured, if you are actively planning for your retirement, you and your financial advisor will likely catch these mistakes before they happen. As life happens, it can be easier than you think you fall into some of these retirement mistakes by simply not being aware of what your options are or procrastinating too long in taking certain actions. The bottom line is that there are many retirement planning tools and retirement incentives out there that can help you enjoy a better retirement. Our advice is to be proactive in your retirement planning and consult with your financial professional regularly so you both can make the best decisions for you and your situation.